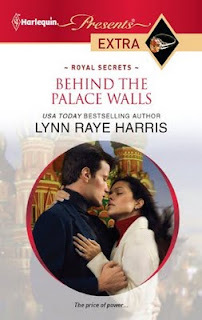 ROMANCE BOOK PARADISE: Lynn Raye Harris and The Devil's Heart and a Giveaway! 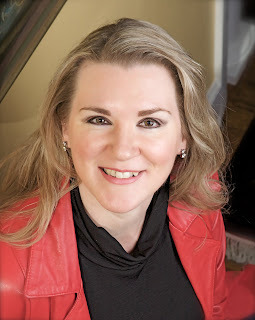 Lynn Raye Harris and The Devil's Heart and a Giveaway! First let me just announce the winner from Kate Hardy signed book giveaway...drumroll...Rachel Morgan! Congratulations! Please contact Kate via her website from the post below. Today I’m honored to be hosting Harlequin Presents Author Lynn Raye Harris. Lynn, thanks for agreeing to do this interview. It's great to have you here! I wrote my first story when I was in the 3rd or 4th grade. It was a horse story, and I illustrated it. When I was fourteen, I started a novel. It was basically a fictionalized account of my life thus far, so it was rather boring. I guess what I’m saying is that I’ve always written. When I was in my 20s, my husband bought me a computer. That’s when I wrote my first romance novel. It took several more years and several more novels, but I finally sold my first book to Harlequin – and I’m working on the 10th right now! It took me 15 years from when I wrote my first romance to when I sold my first book, but I did give up for 8 of those years. I wish I hadn’t, but I did. I got so discouraged with the process that I stopped trying to write for publication and just wrote for me. I love sitting down and losing myself in my own world. It’s a serious kick to create something that others will read! I always, always give my best. I want to entertain my readers and tug at their heartstrings! If a book doesn’t work for someone, I’m sorry – but it’s not because I didn’t do my absolute best at the time. I never phone it in, so to speak. Deadlines. <g> Not really. Having a deadline is a good thing, because I could probably meander for weeks if I didn’t have to turn the book in! PRINCE VORONOV'S VIRGIN on a shelf near me! Hopefully writing lots of books and making readers happy! Never give up. Seriously, it’s that simplistic and that hard. You just can’t let the business defeat you. Now, there are so many options available with the self-publishing phenomenon. But if it’s your goal to see your book in stores, to have a major NY publisher, then go for it and don’t give up. And if you do decide to self-publish, be sure the book is really and truly ready. The books I wrote before I sold will never see the light of day because they don’t deserve to. I still had lessons to learn about storytelling. They are well written in the sense of grammar and style, but the story isn’t quite there yet. That takes time. Anything with wine! <g> No, really, I think romance happens when you’re with the one you love, and you’re enjoying each other’s company. Wine, a picnic, a fire, a starry night – the possibilities are endless. Pride and Prejudice, the BBC version with Colin Firth. I think when my husband bought me a computer because he knew I wanted to be a writer was pretty romantic. And just last week, he brought home a huge bouquet of flowers and a bottle of wine because a friend of mine had died and he wanted to comfort me. He’s very sweet like that! I’ve been a lot of places! But I lived in Hawaii for 3 years, so I think that’s probably the most romantic place. Gorgeous sunsets and blue, blue water – but I don’t have to tell you about that, Nas! You have that every day. Drawing would be nice. Or singing. I’d love to be able to sing beautifully. A sense of humor. My husband has a great one, and always makes me laugh. They say laughter is the best medicine – I think that’s the truth! An interior decorator, an antiques dealer, a restaurateur — I think I’m a writer because I get to be all these things anyway. I could never choose just one. It’s not a quote, but advice from Ann Landers. Someone once wrote to her saying that at the age of 42, he wanted to go to medical school. But he was worried that at the end of it he’d be 46 and just beginning a medical career. Ann wrote, “And how old will you be in four years if you don’t go to medical school?” Life moves on regardless. Live it to the fullest. You don’t have a lot of room for backstory. Start in the middle of the action and feed backstory into the narrative in small bites. The reader only needs enough to know what’s driving the story now and who the characters are as people. Emotion, emotion, emotion. A Harlequin Presents, most specifically, is about the emotional conflict between the characters. External conflict is secondary. It’s what brings the characters together in the first place, but the emotional conflict is what drives the story. For example, in my latest book, THE DEVIL’S HEART, what brings the characters together in the first place is a diamond. Each of them believes they are the true owner. That’s the external plot. The internal is what drives the story. Marcos and Francesca were married once before and Marcos abandoned Francesca on their wedding night. These two have a past together! Lots of emotion there. Of course there’s more to the story than that, but this is a very basic demonstration of external versus internal. Alexei swore. He’d been standing in the shadows of the Russian museum, waiting for his contact to arrive, but he couldn’t ignore the cry. Do you see what I did there? Right in the first page of the story, I’ve grounded the reader with setting through the use of key words. I don’t need to tell you every little detail. Simply giving the reader enough, such as words like Red Square, Kremlin, St. Basil’s, Russian museum lets the reader know the setting is Moscow. Add in the snow for atmosphere, and that’s it. A few paragraphs down, I add a tiny more setting detail. But it doesn’t – and shouldn’t – take paragraphs. This is a short contemporary romance, not an 800-page historical novel. Years later Francesca, no longer so youthfully naïve, is determined to reclaim the precious gem! But she’s forgotten that Marcos lives up to the treasure’s name—and dealing with the devil is always dangerous! And for those of you Down Under, STRANGERS IN THE DESERT is available right now from Mills & Boon Australia! It will be in shops next month. Thanks for sharing your insights about writing and some fun facts about your life, Lynn, it's been a hoot having you here. Thanks, Nas! It’s been fun being here! I just wish, as I said up above, I really was there! I could kick back in the shade with a good book and enjoy the tropical ambiance. The goodness doesn't end there though, folks. Lynn has generously donated a copy of THE DEVIL’S HEART, along with a few goodies (bookmarks, postcards, romance trading cards, and a tote bag!) to one lucky person. All you have to do is “Like” her FB page and leave a comment or question for Lynn and you'll go into the draw for this book. Thanks for the great tips about writing category, Lynn. Intriguing thought that the heroine doesn't know she has a baby. Your book reviews are always excellent, Nas. I came over to hope you had a happy Mother's Day, if you celebrate it there. Great interview! And I want to go with you to visit Nas's island paradise. It was so cold out today here in NY! Brrrrr. I joined your FB page! Hi Javid, thanks for coming by! She does give good advice re writing categorary, doesn't she? I also like the advice she gives on preserverance, well I do, but it's hard! Happy Mother's Day to you too and all the mum's here! We do celebrate Mother's Day on the first Sunday in May. You are welcome to my home anytime you wish! I do know there is no one else from my country in these loops so I extend a very warm welcome to all my friends, if ever you intend to visit my country, just drop me an email! I'll open up my home to you! What a very nice interview ,thank you for bringing Lynn over and Lynn thank yo for visiting. You have been on a roll with posts about The Devils Heart and know I have been stalking you so I have already asked everything I could think of to ask and you already know I am addicted to your reading and that the Devils heart sounds wonderful and that it sounds so much like my favorite movie Romancing the Stone. So I ll just say keep up the great work and thanks you for a really nice giveaway! Nice to meet you too, Ju! Wendy, no kidding! Let's show up on Nas's doorstep! Hi Nas and Lynn. Great interview. I agree, never give up. Only because you go to all the cool places I must follow ! Its good to meet you, Lynn. It is fun to get lost in your the world of your writing. There is a bit of me in both the protagonist and the antagonist, so I'm always involved regardless of who has the spotlight atthe time. Excellent tips for the writers who long to be published. :-) Nas, you are the queen of the interviewers. Hi, Lynn. Fuji huh? A bikini is a good look for you. Love a secret baby! Can't wait. Welcome! My group of friends all love chatting with authors and getting questions answered! You all are very warmly welcomed here! And please do check on my left sidebar the links to Mega Giveaways for Wendy S Marcus's Blog tour! Great interview! And I love that Ann Landers' advice - so true! Great interview! Such useful advice, thanks! A great interview! All three books sound terribly exciting. Thanks for the advice too, Lynn! I've got to remember to walk the fine line between n ot dumping all my research on the reader and going too far the other way and forgetting to describe any place at all! I really love your answers... especially about being that simplistic and that hard. And so agree with the setting aspect... it really can make or break a story. Wonderful advice and interview! Thanks, ladies! Hey, y'all! Thanks for all the comments today! :) I'm so glad you're finding the advice useful. :) Any other questions you'd like to ask? I'll try to answer! Three cheers of the BBC version of Pride and PRejudice! Great interview, Nas and Lynn! Wonderful to see you here in Paradise :) Loved reading all about you and thanks for that wonderful advice/handy tips. You've said it so eloquently! Thanks for having Lynn as your guest, Nas. Another wonderful interview! Fun interview and great tips Lynne! Thanks ladies! Great interview.Thank you so much for the tips and advice. Love the sounds of all your novels, but there is something special about a story with a prince in it. Like my friend Serena, I am from Äustralia also. Loved the medical school comment. It's kind of how I started writing last year. I'd been putting it off for a long time and decided to just do it. Great interview! Great post, Lynn and Nas. Another great interview! I love Colin Firth in Pride and Prejudice, too. Yum. Great interview Nas and I learned so much from your guest. I'm with you on Mr Darcy and Pride and Prejudice. Great interview. I always love to learn new things when reading here. Great interview, Nas. And, it was very nice to meet you, Lynn. Thanks for sharing your insight. I especially liked how you dealt with the setting. I'm with you on PRICE AND PREJUDICE! The Colin Firth version is my favorite. The wet, white shirt is my favorite scene ever. Thanks for the fun interview! Hi Julie, you're so right, everybody loves the Colin Firth version of Pride and Prejudice! @Kittie, hello, thanks for your lovely comment. @Regina, Hi, thanks for coming by and checking out Lynn's interview. Hi Denise, thanks for coming by! @Talli, glad you liked Lynn's interview! @Suzanne, thanks for your nice comment! Hello to Margaret and Serena, Thanks for coming by from DownUnder to help me welcome Lynn! Thanks to all my lovely friends who've helped me welcome Lynn Raye Harris. Thank you for all your lovely comments. I hope you went by and Liked Lynn's FB page and followed her on Twitter! The winner of the goodies is -- Serena! Congratulations Serena! Enjoy your goodies! Thank you Lynn, for taking time out from your hectic schedule and being with us this week! Thanks so much, Lynn and Nas! I'm thrilled to have won! That was a wonderful interview and I agree romance happens when you are with the one you love.